Tips to make the most of your travel time and budget – whether you're traveling for a week or a weekend. Portland’s Rose Festival is in Full Bloom! 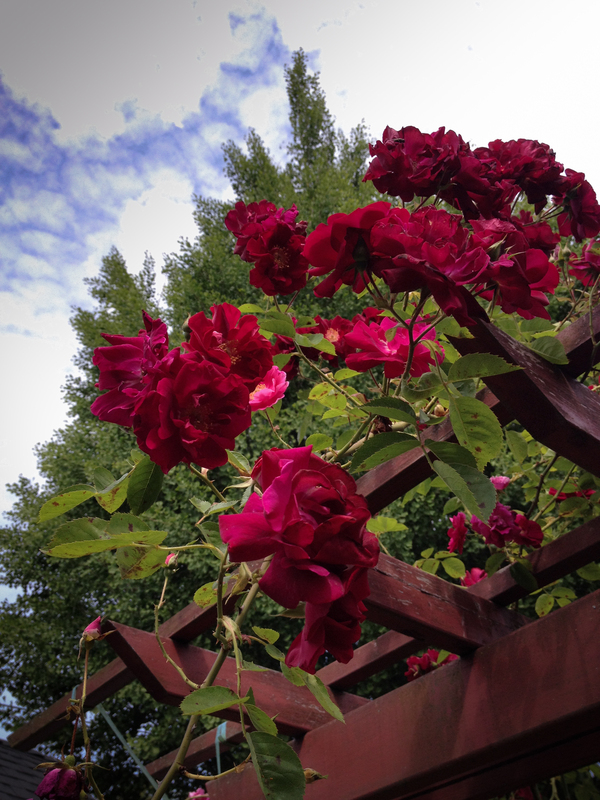 The roses are blooming – must be time for Portland’s Rose Festival! Portland’s fabulous annual Rose Festival is in full swing, and its signature event, the Grand Floral Parade, is this Saturday! In addition, the Rose Festival Queen will be named just prior to the start of the parade (one of Jeff’s former students is in the running this year! Update: she’s the Rose Festival queen!). Fun fact from the PRF website: Did you know there are enough flowers used on the floats to send your mother a dozen roses, every day, for 30 years? Yes, Portland’s Rose Festival really is about the roses. But it also offers a variety of family-friendly events ranging from fireworks to parades to a fun run to concerts to dragon boat races to Fleet Week to art shows to the carnival-like CityFair! While all of the festival’s details are available on its main website, we’ve listed some highlights below! The popular Rose Festival Treasure Hunt offers online clues guiding participants to the location of a small medallion. The winner will take home two round-trip tickets on Alaska Airlines, an overnight dinner stay at Spirit Mountain Casino, and a ride in the Grand Floral Parade! Treasure hunt too tough for ya? Try finding one of Portland’s numerous geocaches (the best one ever is in our neighborhood!). Elementary and middle school students from around Portland wear costumes and decorate their bikes & wagons in the nation’s oldest and largest childrens’ parade. Can’t make it in person? The parade’s covered live on KPTV, channel 12 in Portland. Whether you’re interested in seeing the ships or the sailors, Fleet Week brings ships from around the world to Portland during Rose Festival. Besides being called the Rose City, another of Portland’s monikers is Bridgetown — and you’ll get a first-hand glimpse of its many vertical-lift and drawbridges in action as the fleet rolls in (and as it departs). In addition, many ships offer tours from Tom McCall Waterfront Park. Rides, live music, food and beverages abound at the City Fair (if you’re from Portland you may know this as the Fun Center — apparently that name wasn’t hip enough any more!). Located on the waterfront, CityFair is the iconic nerve center of the Rose Festival. Rose Festival Souvenir Pin is a season pass – $10 at Fred Meyer stores, Rose Garden Store & PRFF Office [while supplies last]. Kids 6 and under are always FREE. FREE admission for Veterans, Reservists, and Active Military with Valid Military ID and ONE guest. Sure, the parade starts at 10, but Portlanders are famous for staking out their territory hours in advance. Don’t want to get up early? Reserved seats are available. Want to get an up close look of the parades? Sign up to be a volunteer! Yep. You can apply to be a clown in the Rose Parade! Applications are closed for this year’s parade, but it’s never too early to think about next year! Dragon boat racers compete in gorgeous boats graciously provided through the Portland-Kaohsiung Sister City Association. The races take place at the south end of Tom McCall Waterfront Park. Warning — watching this year’s races just might inspire you to race next year! Portland International Raceway hosts the Rose Cup amateur car races, the premier amateur road racing event in the Pacific Northwest! One-day tickets are also available. We’ve just scratched the surface of what makes Portland’s Rose Festival a fantastic tradition. Explore their website for additional details and, whether it’s for a week or a weekend, enjoy the Rose Festival! The Royal Rosarians in the 1970’s. Our friend Amy’s dad is in the top row, second from right. Photo courtesy Amy Hammond. Parade pace girls lead the way across the Burnside Bridge! Photo courtesy Lynn Parker. It wouldn’t be a parade without some fancy horses! Look who’s ready for the parade to begin!